The Park of Portofino is crossed by a dense network of paths allows you to create different paths for length, difficulty and ambience. On this page you will find our suggestions for some routes, which we particularly liked, according to the starting point. 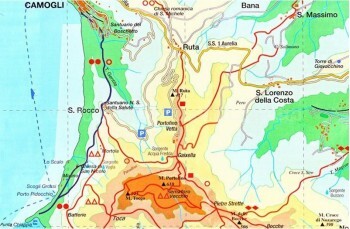 The page, as will be enhanced with hiking and other places of Tigullio, starting from Rapallo. Suggested tours There are 49 products. 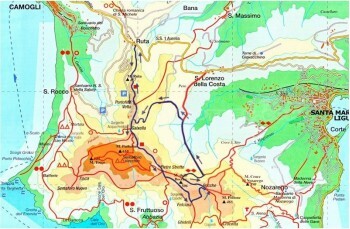 Routes on the Mount of Portofino from Camogli or from those who wish to San Rocco di Camogli. 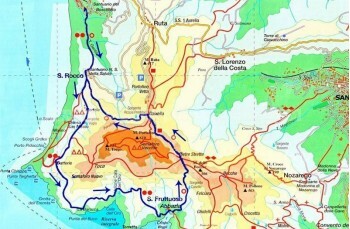 From classic, but always exciting, down to Punta Chiappa to longer paths and challenging as the route to San Fruttuoso. Nozarego, a small town in the hills of Santa Margherita Ligure, is an excellent starting point for exploring the Park of Portofino. Look at our routes. Besides the beach, Paraggi offers the opportunity to make beautiful excursions on the Mount of Portofino. Do not miss the pedestrian to Portofino, from which you can reach the "Eremo di Niasca", and up through the "Valley of the Mills." 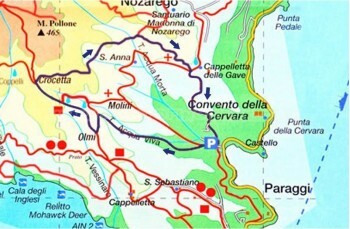 Selection of some hiking in the Park of Portofino with departure from the village of Portofino. Here you will find close to the sea routes and routes that meander through the Cape. 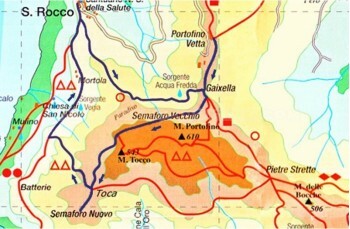 Selection of some hiking in the Park of Portofino with arrival and departure from Portofino Vetta. 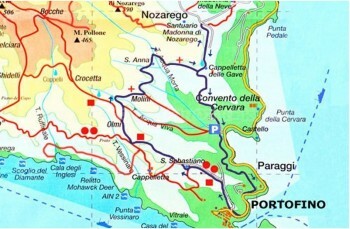 The routes described on this page are not returned in the loop of the Portofino Promontory, but they are equally suggestive. 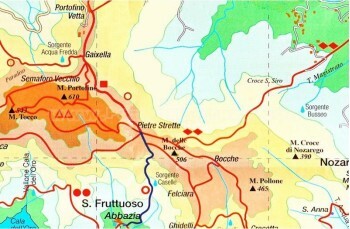 From the most classic routes as Montallegro and Caravaggio to the lesser known routes. 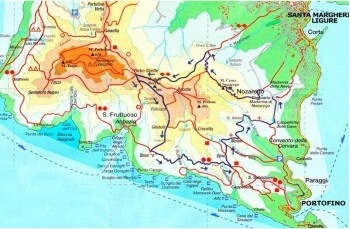 Selection of hiking in the Park of Portofino starting from Ruta di Camogli. Here circular paths and routes that end in the sea. 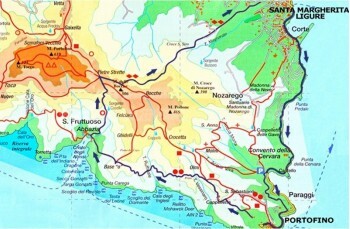 This page was created to offer a comprehensive look at all the paths you can travel from San Fruttuoso. 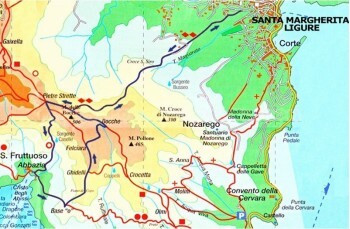 Selection of hiking in the Park of Portofino starting from Santa Margherita Ligure. Here you will find routes of varying lengths and difficulty.